Whether you’re a mom yourself or wish to honor your own mother or wife, each year when Mother’s Day rolls around there is an opportunity for women to be pampered. In the United States, Mother's Day is celebrated on the second Sunday of May. This year the holiday is on Sunday, May 13, 2018. In lieu of a spa day just for Mom, there are activities the whole family can enjoy, bridging the generations in a memorable moment. Whether you’re looking to burn some adrenaline, sit down to a fancy brunch, or settle in for a movie or trip to the zoo, Milwaukee offers variety for all sorts of interests. That Mother's Day is on a weekend day and often accompanied by the first hints of spring provides a lot of flexibility in what to do. Think about activities your family already likes to do together but consider putting a new twist on them. As long as you keep Mom at the center of the affair, she'll no doubt be pleased! Quite a few spots in Milwaukee open their doors just for Mother’s Day brunch. This includes the Milwaukee Art Museum, where the brunch is hosted at 10 a.m. and 2:30 p.m. in the sun-filled Windhover Hall in the Quadracci Pavilion, with views of Lake Michigan. (Mom gets a free mimosa.) At another museum, the Harley-Davidson Museum, on the city’s south side, MOTOR Bar & Restaurant is hosting a Mother’s Day brunch. Included with the brunch’s cost is free admission to the museum. All eight of the Bartolotta restaurants are serving brunch on Mother's Day, from Harbor House on the lakefront to gastropub fare paired with cocktails at the Rumpus Room. Craving some time out on the water? Edelweiss, which cruises its boats in downtown Milwaukee on warm-weather days, offers a two-hour Mother’s Day Champagne Brunch Cruise. Reservations are for 10 a.m. to noon. Naturally, flutes of Champagne are offered, but so are bagels and lox, baguette French toast, vegetable frittata and more, capped off by pineapple upside-down cake. While places like Kettle Morraine and Wisconsin’s state parks get all the glory, there are plenty of urban hiking spots that Milwaukeeans can enjoy thanks to a vibrant county-parks system. This includes the 138-acre Lake Park, on Milwaukee’s East Side, with Lake Michigan views and a historic lighthouse (North Point Lighthouse); and the Menomonee River Parkway in Wauwatosa, which is immediately west of the Milwaukee city line. Humboldt Park in Milwaukee’s Bay View neighborhood offers features like a playground, park benches, fitness equipment, a pond, a gazebo, a baseball field, and tennis courts. Have some sports-minded folks in the fam? Don’t hesitate to play a game of pickup soccer as there is plenty of space. In Fox Point along Lake Michigan, Schlitz Audubon Nature Center is a 185-acre protected area with six miles of hiking trails, an observation tower with amazing views, and a Nature Center that digs deeper into the region’s ecology. On Mother’s Day, all moms get free admission to the Milwaukee County Zoo. In perfect pitch with the holiday, the M.O.M. exhibit, which stands for “Missing Orangutan Mothers,” educates on Bornean orangutans. If you live in Milwaukee County, bring your ID because you’ll save on admission. Milwaukee has no shortage of movie theaters, whether it’s historic theaters such as the Downer Theatre on Milwaukee’s East Side, or the Marcus Theatres chain, with locations in Milwaukee as well as suburbs like Oak Creek and Menomonee Falls. The Avalon Theater, in Milwaukee’s Bay View neighborhood, offers meal service, as does Fox Bay Cinema Grill in Whitefish Bay. Kick up your soda-and-popcorn habit with a full-on meal while you view a flick. 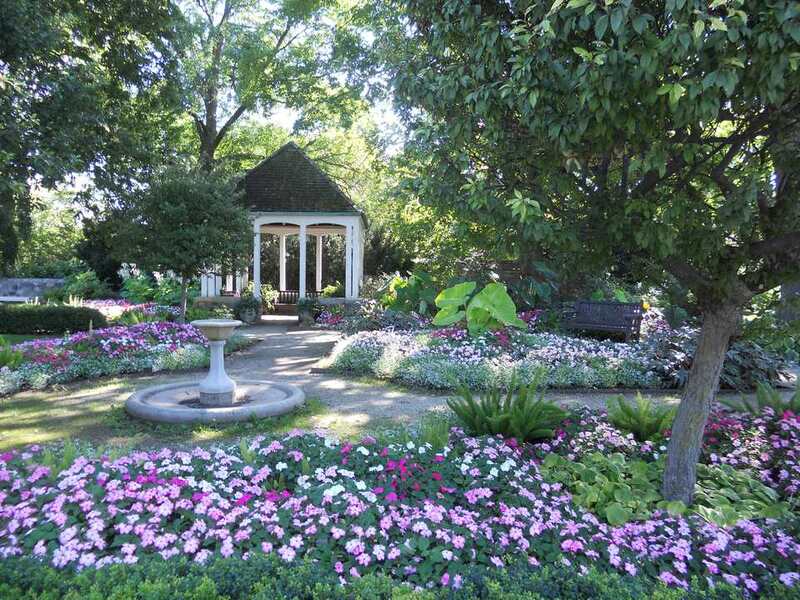 Boerner Botanical Gardens in Hales Corners opens for each season in mid-April, making this a perfect Mother’s Day activity. While roses won’t yet be in bloom, plenty of plants and flowers are.